The Farm to Plant Sub-Group is making steady progress at the farm to plant level of the Thai seafood supply chain. Part of our work is driving continuous improvement in farm working conditions for all Seafood Task Force Supply chain members. We are doing this through a stepwise process of Seafood Task Force Code of Conduct awareness alongside future plans to build technical capacity of farm operators, farmers and brokers. The first step is to create initial awareness of the Code of Conduct. The second step is to measure the impact this has had and to consider next level capacity building requirements. We are currently engaging with the Thai Government’s Labour Department and the Thai Department of Fisheries. We plan to follow the already successful Thai Good Labour Practice (GLP) programme Memorandum of Understanding (MoU) introduced for the broiler industry and apply it to the shrimp farms. 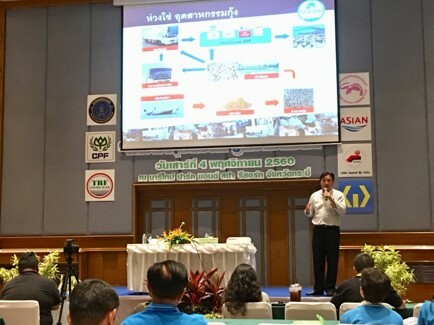 Whilst there are significantly more shrimp farms than broiler farms to contend with, the plan is to work with the Government to achieve a process for MoU’s stipulating shrimp farm commitments and adherence to the GLP over a specified period of time. The MoU’s will be between private sector and the Thai Ministry of labour via GLP and between the Private sector and Department of Fisheries through GAP Good Aquaculture practice.